A global leader, Houghton International provides metalworking fluids and materials to the automotive, aerospace, metals, mining, machinery, offshore and beverage industries. Houghton was in need of a digital infrastructure for navigating its country-specific product offerings, management of regional content and a translation partner for a best-in-class digital solution. 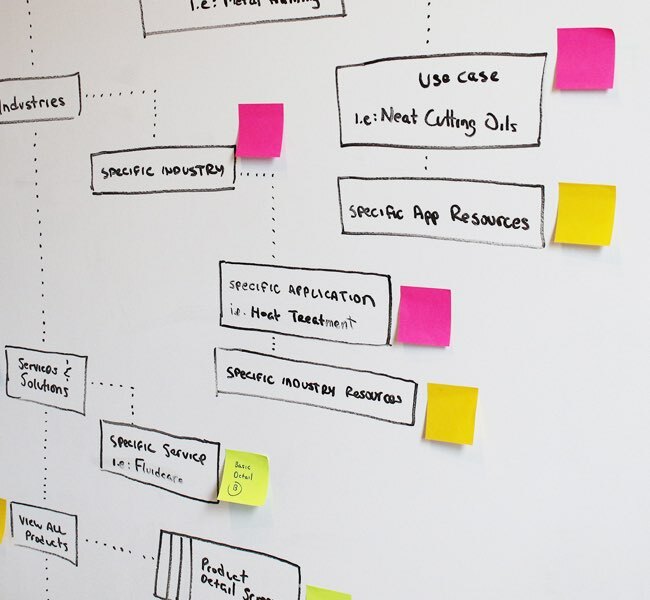 We came in to lead the discovery process and develop the user experience strategy and technical solutions that would offer an integrated, international digital solution to manage Houghton’s vast product offerings. Ongoing, we study and extend the platform for future lead generation and customer acquisition initiatives. 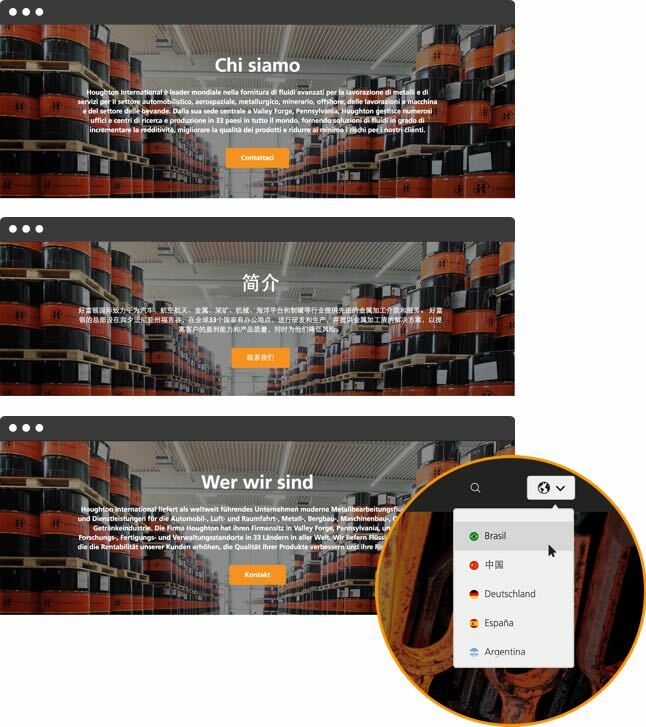 We needed to serve Houghton’s international customer base by creating a system that easily and seamlessly provided each geographic region with Houghton’s relevant product offerings, as searchable by application, industry, and solution - and of course, in every regional language. For Houghton to connect with its customers across the world, we had to create a framework for Houghton’s own team that would allow customers to access regional product information, their data sheets and opportunities for customer engagement. 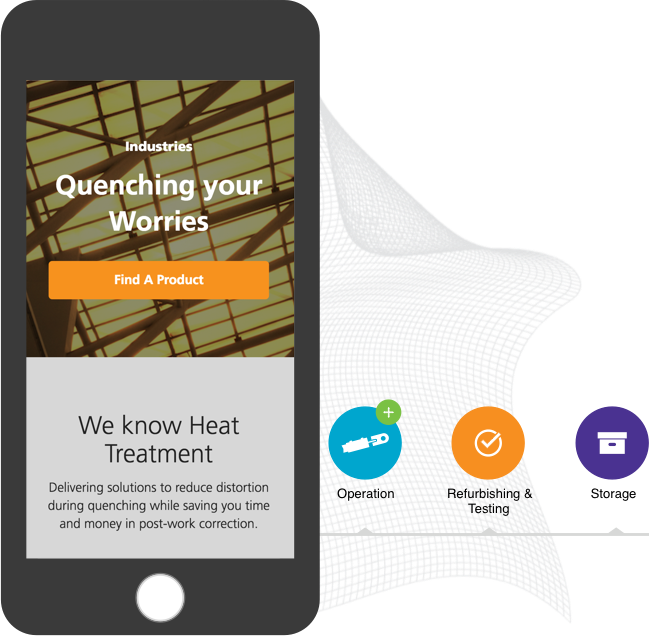 Part of our mission was to also expand Houghton’s global customer base by driving lead generation as well as its prospective customer base through newsletters, brand materials and special access product information. As one of the world’s largest natural resource industries, we had to learn the intricacies of chemical manufacturing. Through research and discovery, we analyzed the current landscape and liaised with Houghton’s stakeholders to understand their digital challenges so we could meet their immediate goals and anticipate long-term needs. 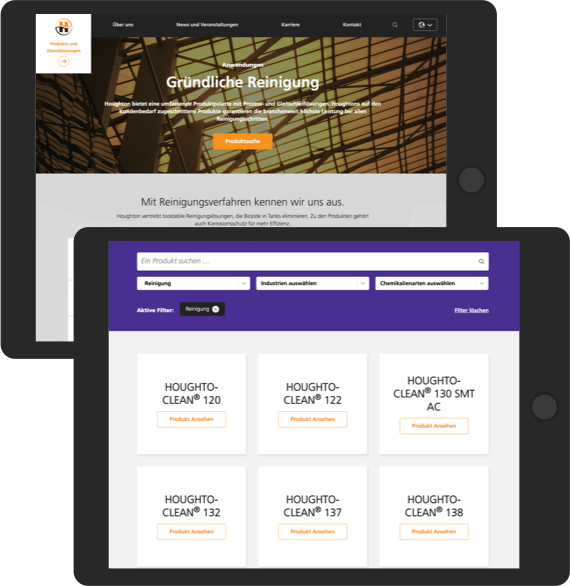 Also, since Houghton’s customer base represents nearly all the regions of the world, we had to devise a custom language system that would automatically translate the user experience and Houghton’s 1500 products (with their technical information) into each regional language depending on where customers are based. The world of chemical manufacturing is an ever-evolving one in today’s environment. We did a deep dive into the landscape to speak the same language as Houghton’s audience so we could address their challenges and long-term needs. We had to understand the nature of product decision-making practices in order to create the right organizational system for Houghton’s digital presence. Houghton is a global leader in a very international industry, with many languages and cultures to accommodate. 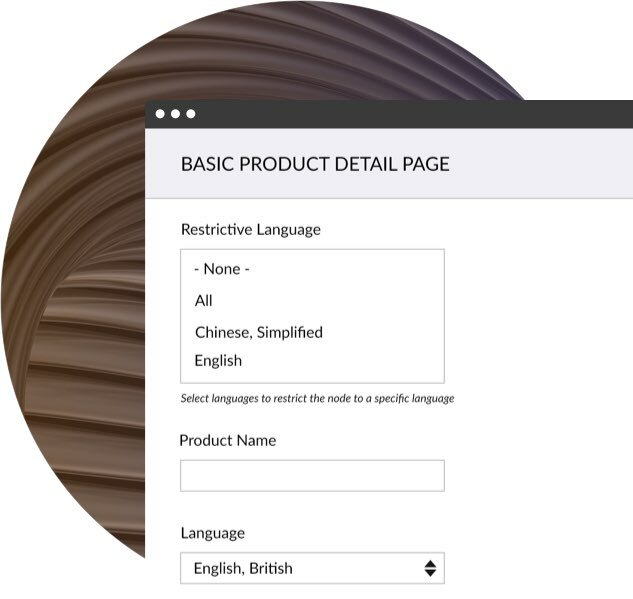 We collaborated with a translation-services partner to best mold our digital solutions, which resulted in us creating a unique product matrix, showing what products are available in which countries, including related products and features. To speak to customers across the globe, we created a user experience that could be accessible to the international community and never lost sight of putting customer needs first. We created a digital platform that is a true resource, where customers not only can easily explore region specific products but learn about industry innovation, especially Houston’s own contributions. 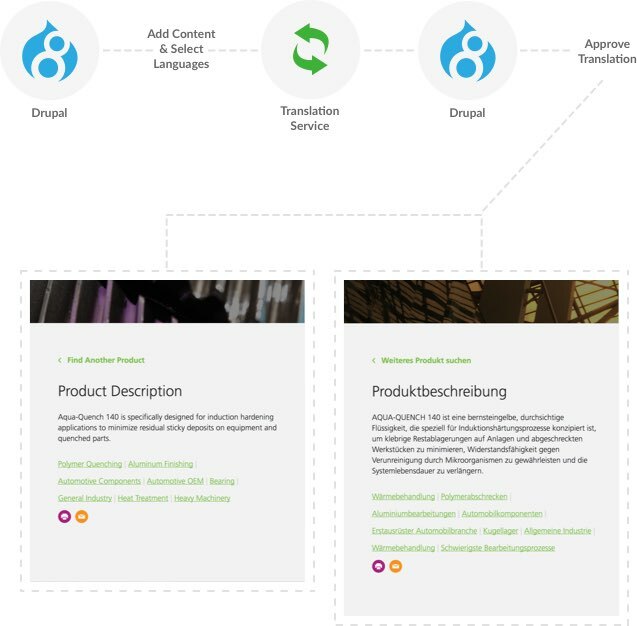 With so many regions and languages to accommodate, we built out a technical schema for seamless translation integration. We devised custom modules for Houghton’s products and their informational content that translated across regions. Our unique system also was designed to automatically flow lead generation into managing customer relationship by region. 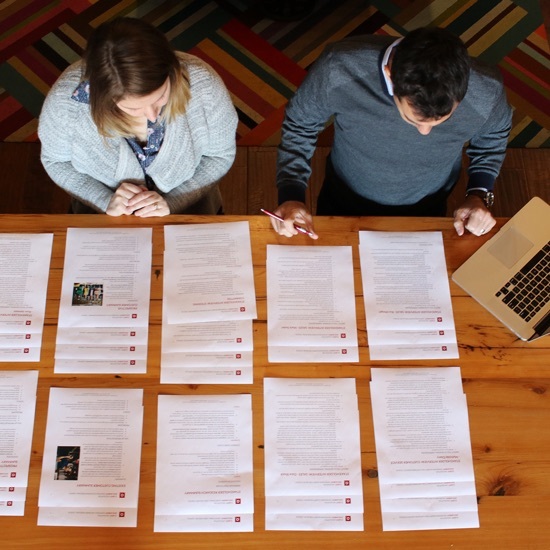 We created a system that manages a unique digital presence across 33 locations in the world. 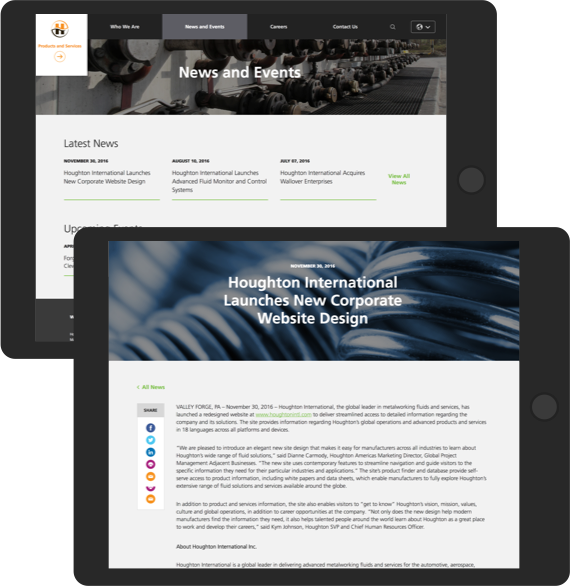 In order to properly develop the custom system, we worked closely with Houghton’s international teams to ensure a successful build and regional marketing opportunities, including customizable CMS for content owners across its many regions. As an international organization, Houghton has to deal with teams communicating from all over the world. Deep integration into various calendars from throughout the globe would help to better sync communication from disparate teams from across time zones. Then tying in conversational UI into specific conference rooms would help to make a more unified experience and keep everyone on the same clock. See our O3 Roombot project below for an example of how we’re experimenting with this technology.